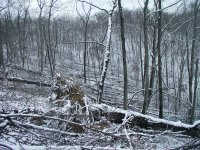 In the winter of 2003, a devastating ice storm struck our farm in Kentucky. The storm coated the branches of trees until they could no longer bear the weight. 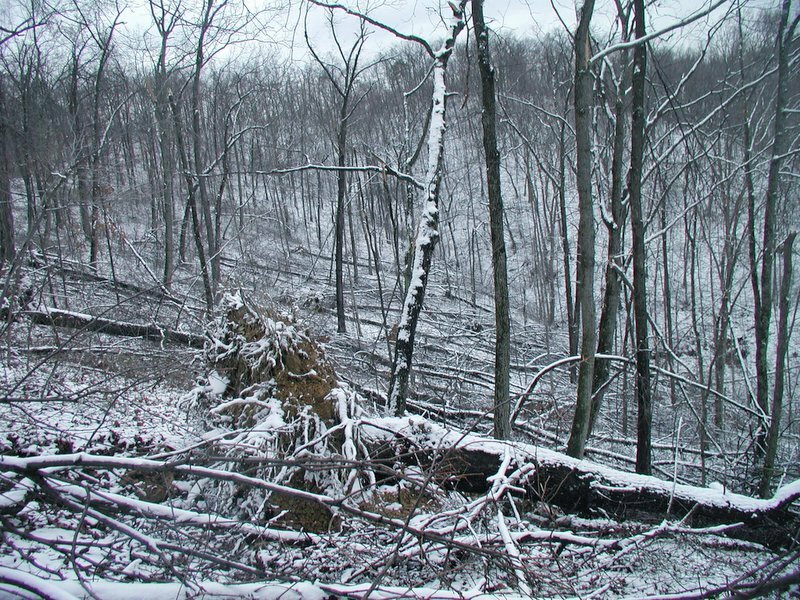 For a solid day, and for several days afterwards, we heard the woods falling. 100+ year old oaks spontaneously uprooted, smashing and busting other ice-burdened trees. Some hickories would split right down the middle of their trunks like peeled bannanas. Tops broke out of towering yellow poplars and fell to the ground. It sounded like spurious and random gun fire in the woods around us. Before the ice storm, my wife and I had several loosely formed notions about the house that we would some day build on our farm. Although we knew that we would use some of our own wood, we had no intentions of harvesting any substantial amount of timber for several years. The ice storm changed (accelerated? enlarged?) all of our plans. Before the trees had even stopped falling, my wife turned to me and said, "OK, maybe its time to order that band saw mill you have been talking about for months!" A few weeks after the storm, we mentioned to a long time friend and craftsman that we wanted to build a house with wood from our farm, and expose some timbers on the inside. 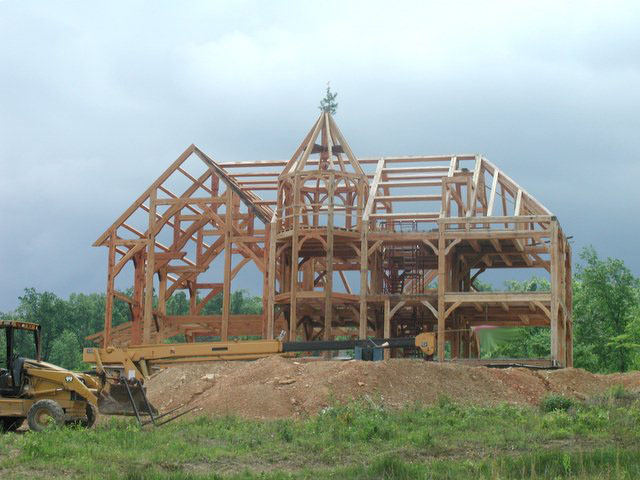 "Oh, you want to build a timberframe house... I just love those!" We didn't know what a timberframe house was, so he loaned us a book by Ted Benson (I now have 3 of Benson's books... the one our friend gave us that day was the "glossy, coffee table Benson book"... short on how to, long on breathtaking pictures) Within 24 hours of seeing that book, it was settled - we were going to build a timber frame house.